Entrepreneurs looking to get high tech startups off the ground are finding a work-around to expensive bank funding or venture capital. 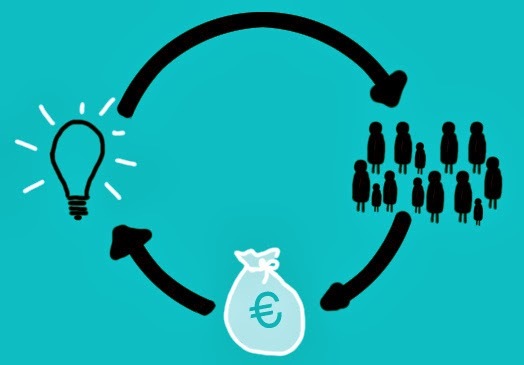 Online crowdfunding opens the way for viable projects to get the initial monies needed to help cover startup costs and development. If you have a good idea, you can make a video and launch a global crowdsourcing campaign. According to the platform, you will need to set up a funding target as well as a deadline. If you get the funding in that period of time, the money is yours, minus a commission. What does the donor get? Besides the excitement of funding a fantastic product that will turn the world upside down, you can offer various awards. It could be a tee shirt with you product name, a copy of the product when it is launched or a chance to sit in on board meetings of the company. So along with giving money, donors actually get something tangible in return. Kickstarter is one crowdfunding platform that has helped 4.9 million people earn funding of $790 million since it’s inception in 2009. In line with its criteria for accepting projects, participants must be creative and their acceptance must lead to a concrete result, such as a product or a film. The service is strictly for entrepreneurs to fund projects and rules out anyone who wants to raise money for personal use. Indiegogo is another crowdfunding company that helps people or organizations with good ideas get noticed. When you prove to a community of donors that you have a product worth investing in, larger investors and venture capital firms take notice. While the amounts donated may be small, the big thing to note is that it empowers entrepreneurs to turn concepts into viable products. Whether it’s a hockey stick sensor that calculates speeds or a new documentary film, crowdfunding donors enjoy take a small risk to join the development process.